Each year, literally millions of tourists arrive in Napa Valley, looking to sample the wine and for some cheap accommodation. Various lodging options present themselves all around Napa Valley, including hotels, family-run B&Bs, guest houses, and even mid-range chain motels, which tend to be quite basic, but the cheapest choice by far. Otherwise, accommodation around the Napa Valley area does tend to be on the pricey side of expensive, especially when you are planning to stay on a Friday or Saturday night. However, if you prefer camping to hotels, then the Sugarloaf Ridge State Park features its very own camping site, which lies on the Adobe Canyon Road and on the northern side of Kenwood. Close to the Sugarloaf Ridge, the Californian town of Calistoga is amongst the best places to stay and resides within the Upper Napa Valley region, where it is known for its abundance of oak trees and reasonably priced accommodation. 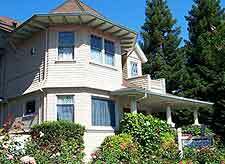 Various inns and small hotels are situated in Calistoga, along the Lincoln Avenue and also Lake Street. Sonoma Valley tends to be one of the less commercialized parts of the Napa Valley, since there are noticeably less wineries. The majority of the wineries in Sonoma Valley tends to be clustered on the Highway 12, with hotels being relatively close by, on East / West Napa Street. 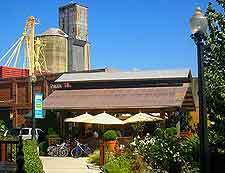 Napa city itself stands directly to the east of Sonoma and is home to a number of historic inns and accommodation choices, including familiar names such as Budget Inn and Travelodge. The magic of this wine country is even captured around the city is street names and hotels, with the Vino Bello Resort being sited on Bordeaux Way, and the aptly named Chablis Inn Napa Valley on Solano Avenue. 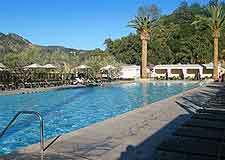 Look also to Oakville, St. Helena and Yountville for more hotels and wineries.